Data Firm Spicule Puts the Power of Analytics Store Used by Netflix in Customers’ Hands. There were 699 press releases posted in the last 24 hours and 153,510 in the last 365 days. NORWICH, NORFOLK, UNITED KINGDOM, November 7, 2018 /EINPresswire.com/ -- Data-driven companies can now harness the power of Apache Druid, the analytics store utilised by Netflix, Airbnb and PayPal, thanks to open-source software experts, Spicule. The high-performing, scalable, Apache-licensed product allows organisations to drill down into their data in real-time, empowering users to search, filter and aggregate information. The combination architecture of time series databases, online analytical processing (OLAP) and search systems make for a compelling business intelligence offer. However, Druid is notoriously difficult to install and maintain, so Spicule has developed an implementation and consultancy offer to give organisations the opportunity to leverage this innovative data product. Why use Druid for your data? There are several key reasons that Druid found favour with big names like Netflix, Lyft, Airbnb and PayPal. For a company like Airbnb, the analysis of user behaviour and their interactions with the site are vital. 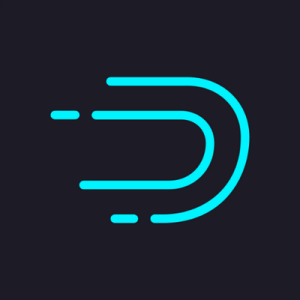 Druid functionality allows them to get specific insights, interact with users in real-time, track marketing campaigns and understand why they make the choices they make. Netflix operates a vast number of servers and collects billions of data events every day. This data contains crucial insights for the streaming giant, and they want to be able to collate, query and use it in real-time. Netflix also wants to refine and resolve queries as they come up, and also get real-time insights on customer behaviour. Druid allows them to achieve all this in seconds, giving them the ability to fix and solve performance issues fast and understand precisely what’s going wrong at the service endpoint. A great example of this functionality is smart cities, where sensors are deployed at a large scale across the entire designated area. These sensors measure all aspects of city life, including things like traffic, footfall, temperature, pollution, weather, energy consumption etc. – which are all fed back to Druid. In their clusters, the user can store data inside segments by using timestamps, dimensions (like area, campaign, device etc.) and metric (the counter or aggregation – like clicks, impressions, etc.). This data allows companies to design bespoke aggregations to deliver the insights they need. Rising above the usual click and user data, Druid clusters can be used to get granular about how a specific campaign, product launch or strategy is performing. Marketing teams can use this data to do A/B testing and to gain insight into the success of a campaign. PayPal, in particular, has written extensively about the way they use A/B testing for product innovations using Druid clusters. Spicule has the ANSSR for customers. Big data companies are offered Spicule’s commercial support of Druid clusters through their ANSSR Platform. Having worked with NASA, Netflix and the UK government on huge analytics projects, Spicule founder Tom Barber has a stellar reputation for using open source solutions to engineer high-performing data analytics solutions. - Advice on the hardware requirements for their specific use. - Installation and configuration of their cluster by Spicule, tailored to their firm’s particular needs on the ANSSR platform. - Proactive maintenance to ensure peak performance of the cluster and immediate upgrading to the latest versions of Druid. - A support package that involves troubleshooting and 24/7 access to experts for any technical issues. If you’d like to speak to the Spicule team about their Druid offer, please call +44 (0)1603 327762 or email info@spicule.co.uk.